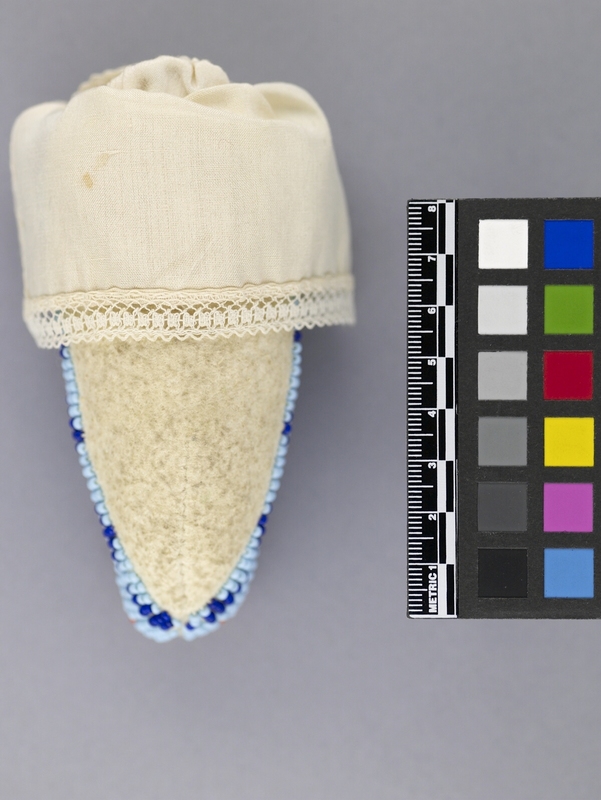 Item number 537/1 from the MOA: University of British Columbia. 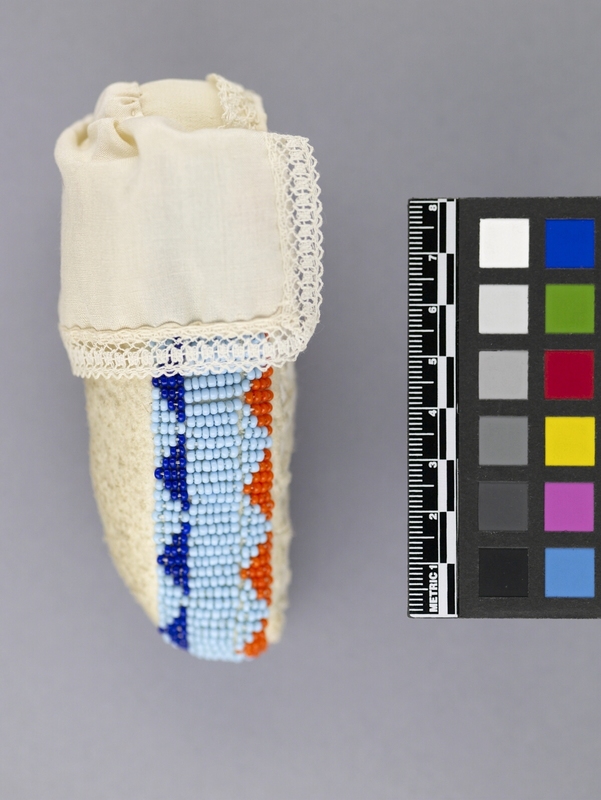 Baby doll that is wrapped in a thick carrier, or papoose, with laces down the front and beadwork around the sides; the back is plain. Top of carrier has a flap of fabric edged in lace; baby's head has a hood with same lace edging; face is only visible part of doll.